Sevilla on its own is plenty! From flamenco shows, to the gigantic, intesnely beautiful parks to the cuisine! You could easily spend 5 days in Sevilla, and still want more. Call us greedy, but we can't help recommenending these other day trips from Sevilla. We have one piece of advice, however, take your time and don't rush. It's easy to grow overwhelmed, and that's the last thing you'd want on holiday! Especially in Sevilla! Córdoba is a city which must be seen on foot! Its narrow streets and shady patios are decorated with dozens of potted plants and the most colorful, scented flowers will engulf you with their sweet aroma. Famous for their Cathedral/Mosque, which is the largest one of its kind in Europe, the city is rich in history with a mix of many cultures. Andalusia is famous for their picturesque white villages sprawling over the region. One of the most well known is Olvera. Located east of the Betic mountains among fields and olive trees, the town is one of the area's most important and dates back to Nazari times, having grown at the foot of a 12th-century Moslem fortress. 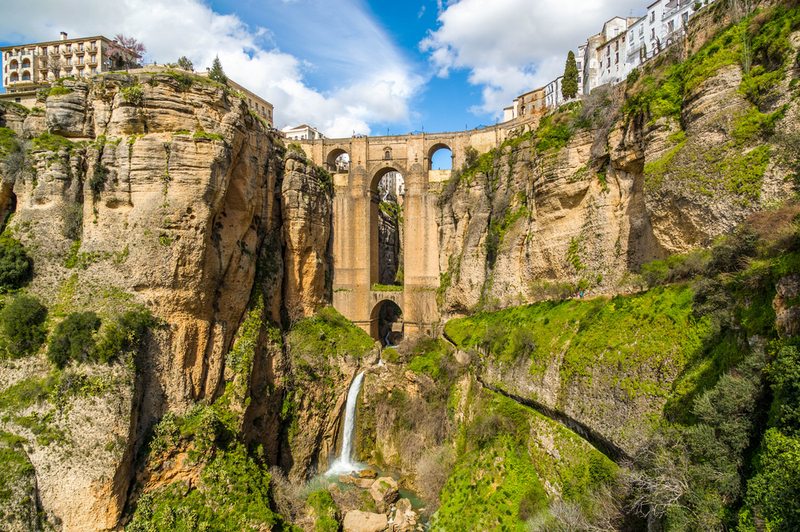 Surrounded by lush river valleys and sitting above a deep ravine, Ronda is a place that literally takes your breath away when seeing it. It is said to be the home of modern day bullfighting, and the Real Maestranza bullring is one of the oldest and most picturesque in Spain. But, the must see landmark is the Puente Nuevo, offering unforgettable views over the El Tajo gorge. The bridge connects the old Moorish town and the newer, El Mercadillo parts of the city. We've written abot Ronda, Spain here if you need just a bit more convincing! Just a short journey from Seville, Jerez de la Frontera is best known for its sherry. 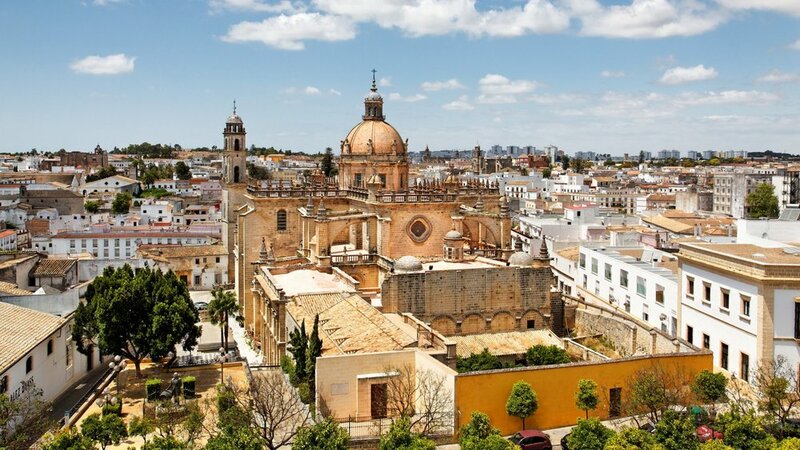 Jerez may be small, but with one of the oldest wine traditions in the world and delicious food to enjoy, visiting the sherry making region is something you won’t regret! However, with amazing architecture and fascinating history there are just as many things to see as there are to taste! We know you're already itching to hop a plane (or train or bus) to sunny Seville, so we won't keep you any longer. But we will say that you may want to grab our Sevilla Like a Local Guide before you go! It'll keep you away from the tourist traps, and on the path to having the best holiday ever! Make sure to snag your guide! Save your edges, and your sanity with the Like a Local guides! Over 70 pages of curated tips, suggestions and travel hacks!